According to Mortgage News ..Mortgage applications increased 5.3% for the week ending May 2, according to data released today by the Mortgage Bankers Association. "It's official: we are in a majority purchase market for the first time since 2009," says MBA Chief Economist Mike Fratantoni in a press release. He attributes the jump in purchase applications to lower mortgage rates and job market growth, but notes the volume of applications is down 16% from last year. 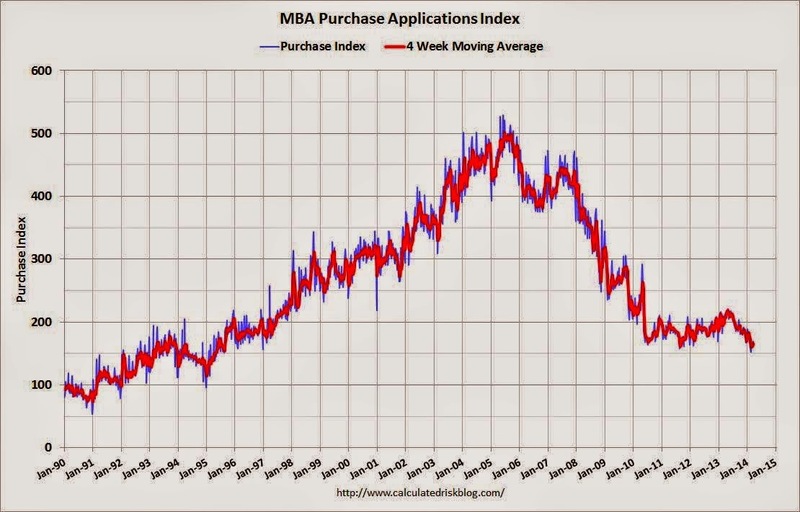 The MBA Weekly Mortgage Applications Survey showed that the average rate for 30-year fixed-rate mortgages of $417,000 or less fell from the previous week to 4.43% from 4.49%. Rates for 30-year fixed-rate mortgages of more than $417,000 decreased to 4.29% from 4.37%, their lowest levels since last June. Refinances accounted for 49% of mortgage activity, down slightly from 50% in the previous week. Adjustable-rate mortgages accounted for 9% of all activity.